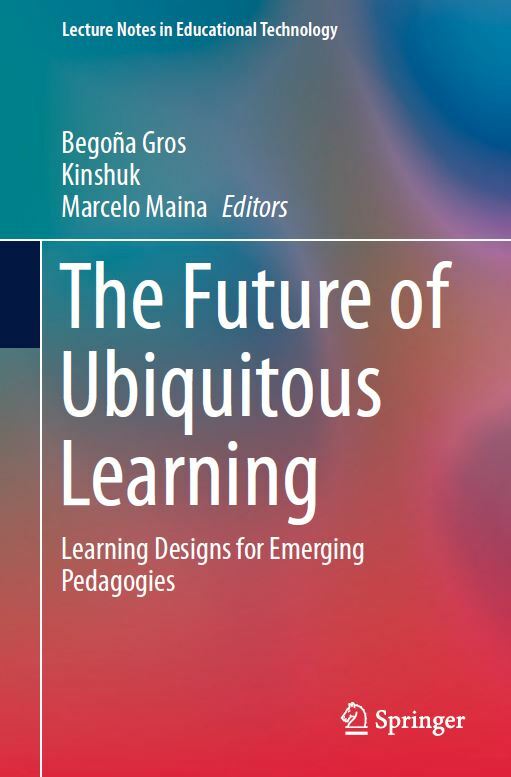 The book “The Future of Ubiquitous Learning: Learning Designs for Emerging Pedagogies” (Springer, 2016), edited by Begoña Gross, Kinshuk, and Marcelo Maina, researcher of the Edul@b group, has been successfully accepted by Web of Science Book Citation Index. This book explores emerging pedagogical perspectives based on the design of new learning spaces supported by digital technologies and brings together some of the best research in this field. The book is divided into three themes: foundations of emerging pedagogies, learning designs for emerging pedagogies, and adaptive and personalised learning. The chapters provide up-to-date information about new pedagogical proposals, and examples for acquiring the requisite skills to both design and support learning opportunities that improve the potential of available technologies.